Neon, ombre and the tropic. Hola Mandy, tenés un blog muy lindo. Me quedo a seguirte! Gorgeous - love the leather pants! Ahh, love this outfit! I have shirts like that and never know what to wear with them. You look great! Gracias por seguir mi blog, y al igual que tú, haré lo mismo con tu blog pues le he dado un vistazo y me parece muy buen blog! OMG I can't wait for Christmas either! It is my favorite time of the year because everything is just festive and I love the decorations. My b-day is on Christmas eve so I start celebrating from the beginning of Dec and just keep it going lol. I love the pants you are wearing you can pair those with so many different tops. Congratulations! That is such exciting news! Have a great weekend! me encantan esos leeggins, los tengo pero nunca se como combinarlos!!! nice look, love the top!! 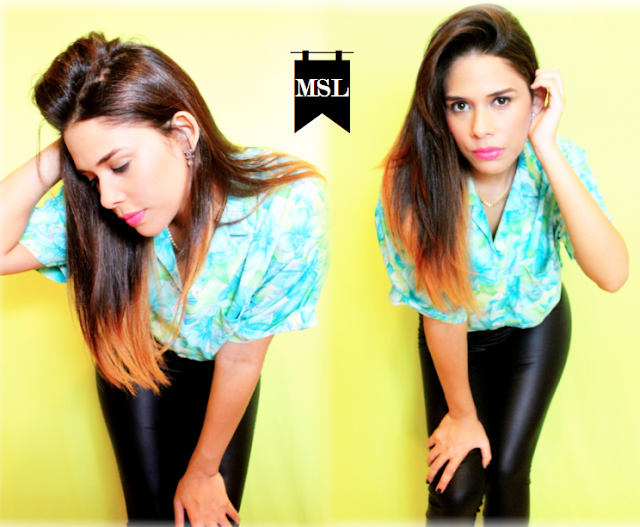 Que outfit tan bonito y te favorece muchísimo el color de la camisa, adoro los leggings ! ♥ BEAUTIFUL, i love your photos! Felicidades! sabes que te lo mereces. Tienes un blog un muy lindo con muy buenas fotos y outfits!! Love your outfit, gorgeous ombré hair! cute cute cute... love this colorful post! me encanta el look que llevas! especialmente la camisa. un besito!! this post is so cute! and you look amazing! thanks for following :) followed back! Congrats on your blog :) I can't wait for Christmas too! Loveee Christmas time, it's so magical! ¡Hola bonita! Un blog muy interesante. Nice pics and top!! Love it!! What about following each other on facebook too? Enhorabuena por esos 800 seguidores por GFC !!!! Bonitas fotos !! I love your photos and very nice look!! Wanna follow each other on bloglovin and GFC? Que fotos más chulas! Esa camisita es muy bonita! Echale un vistazo, comenta y sigue nuestro blog día a día donde encontrarás todo sobre moda y más. Besos y Saludos desde Mode Nú. Me encanta tu blog, ¿nos seguimos? I followed back on GFC and FAcebook, we can also follow on bloglovin and instagram if you want ! I love the second picture, you're so pretty! I follow you now :d! You look so cute! :D I can't wait for Christmas too. Cute outfit and youre super cute ! You are super pretty doll! Soon you'll hit the 1000! Thanks for follow!! Im following you too, love your blog!!! You look amazing!! love this combo on you!!! Follow back on GFC (no.899-rosita bizerman).. keep in touch! This looks amazing! Great style and blog you have! Gracias por comentar y seguirme guapa!! Te sigo desde ya, un besito!! Hola!! Tu Blog tambien es muy chulo!! Te sigo desde ya yo tambien!! Gracias por seguirme!! ;-) Aqui me tienes tambien! un besiko!!! My New Post-->"Fur & Leather"
Great top! such pretty colors! 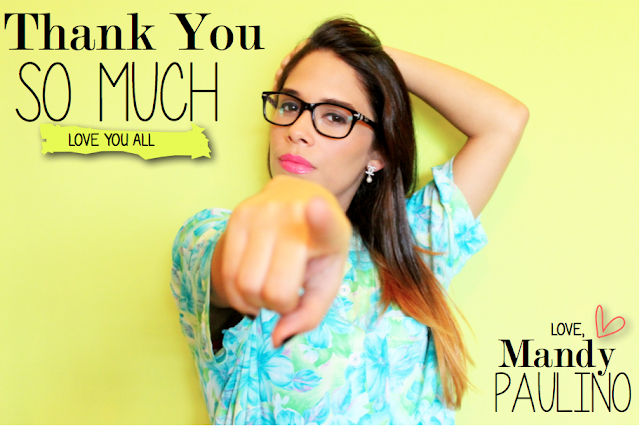 gracias por pasarte por mi blog guapisima! Muy guapa! me ha gustado también mucho tu blog así que me quedo a seguirte! un besito! Hola! ya estoy por aquí!! Unas fotos geniales, al igual que el blog!! YA te sigo por GFC, y también por FBK!! So fun pics!! You look gorgeous! And hey I follow you back now!!! Following you now via GFC, would you like to follow me darling? Love the ouftif and the hair! What a great blog. Oh me encanta tu blog! Te invito al mio y si te parece nos podríamos seguir!! You look great, dear. Love your outfits and your blog so much.